Today I am sharing with you a simple tutorial for making your own cookie jar party favors as seen here in my recent 'Vintage Milk & Cookies' party. I think I can safely say that creative & fun party favors are a 'must' at any party. I am always trying to think of something unique and memorable that I can send home with my guests as an extension of the party theme. After all, I want guests to be thinking of my event long after the party is over. 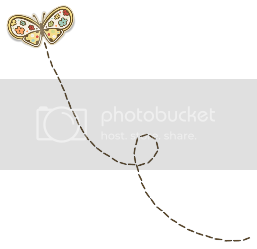 Finding something premade that coordinates with your theme and/or colors is not always an option. Sometimes you have to take matters into your own hands. I am discovering that DIY party favors are fun and can even be economical. You may remember the adorable gumball machines Adria and Maureen made for their dessert table styled for Universal Studio's Hop DVD release at Target last year. 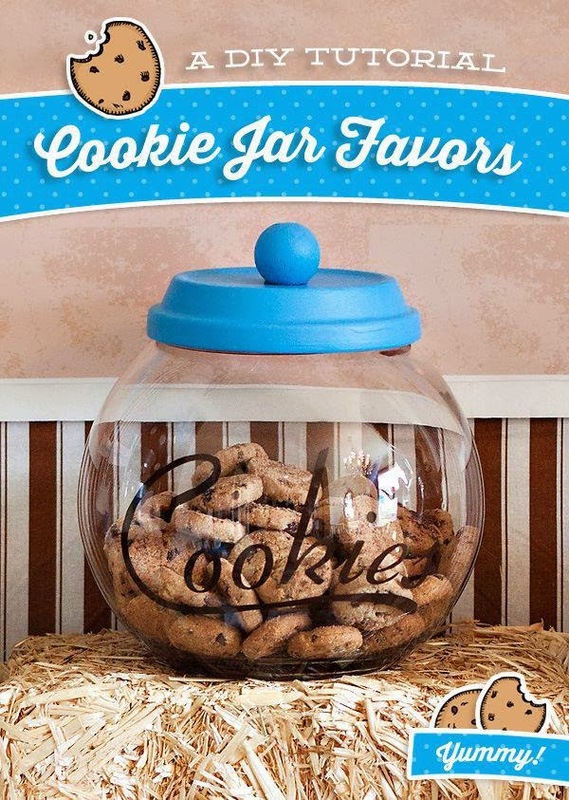 The basic concept for the cookie jar favors is similar. Vinyl lettering spelling out 'Cookies'-- Amy of A&E Design Works recreated the adorable text from the Vintage Milk & Cookies package to coordinate perfectly. Spray paint (choose a color to coordinate with your event). *Note: I tried brushing on acrylic paint and strongly advise against it. Spray paint is best for a quick, even coat. Mini cookies (We picked up Famous Amos brand at the Dollar Tree. 4 pkgs/$1) Mini Chips Ahoy also work well. Before starting, be sure to remove any labels/price tags and thoroughly clean all items with hot, soapy water. Dry completely. 2. Once the painted pieces are dry, glue the wooden ball to the center top of the terra cotta lid using the glue gun. 3. Carefully rub the vinyl with your finger (or a wooden craft stick) and peel vinyl off of it's sticker backing. 4. Eyeball (or measure) a good 'center' location for your vinyl lettering on the glass jar. Carefully begin transferring it to the glass bowl. (Vinyl is very forgiving, so if it needs fixing, slowly peel it up and adjust. 5. Fill with your favorite mini cookies! Replace the lid, and voilà, a custom cookie jar favor! 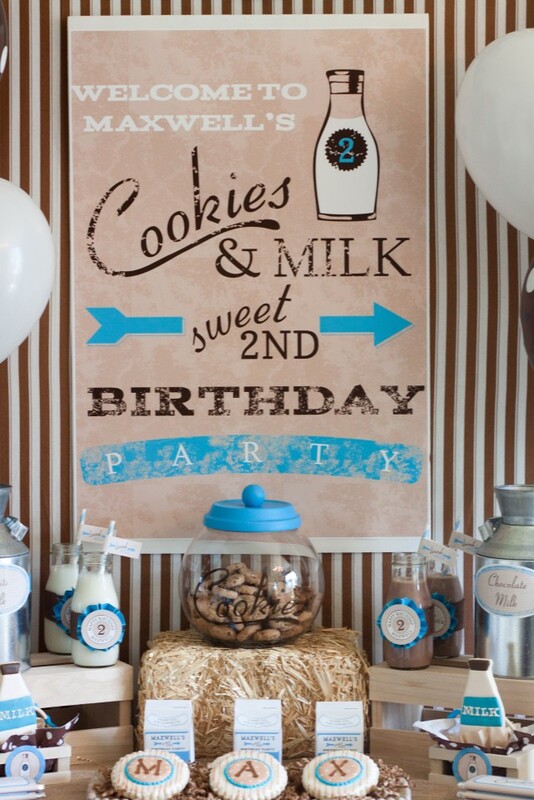 Visit the full Vintage Milk and Cookies party shoot here for more fun ideas! 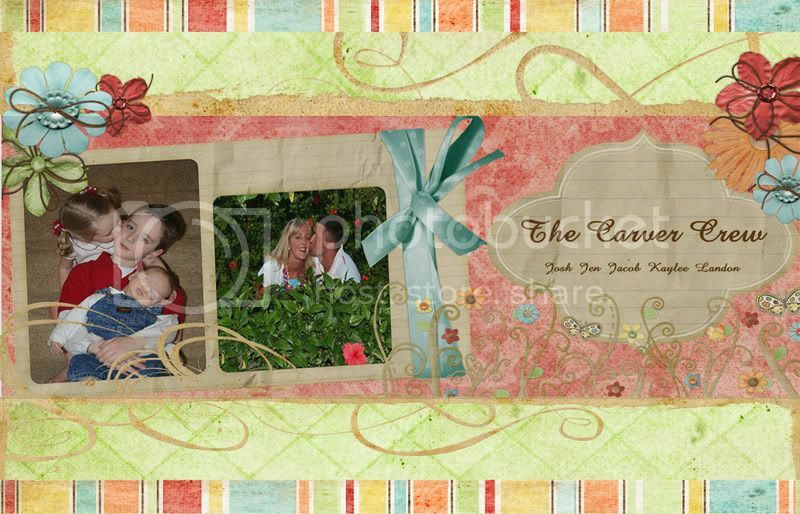 it's so cute and the colours are lovely.Love the idea with the hay.great job!